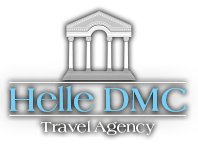 Helle Travel Agency is a specialized incoming agency located in the heart of Split, Croatia. We invite you to take a look at the various possibilities to travel around Croatia, especially our incentive programs. Croatian coastal cities (Split, Dubrovnik) and islands (Hvar, Brač, Vis) are listed among the top incentive destinations of the world. Want something innovative, creative, different? Classics will always stay classics. However, we realize that you, your co-workers and friends are modern people of the digital age and need a recreational getaway which will really put pleasure before business, if only for a while. Helle Travel Agency can help you experience the difference. We have been creating customized travel programs and managing the details of diverse trips and tours for more than 15 years now, so you can count on fast and reliable professional service. You are looking for a travel arrangement engaging and adventurous enough to effectively connect and motivate the people in your working community? Choose one of our team-building programs. You appreciate fine food and drinks and want to explore world cuisines? Discover the authentic dishes of Dalmatia, the Southern Croatia coastal region. Adventure is your middle name? Vacation without plenty of action and movement is not an option? Rent a plain charter or sail along the Adriatic. You recognize the true value of history and pay attention to detail? 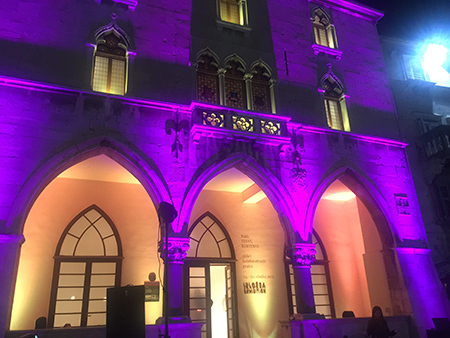 How about dining at the ancient palace of the Roman emperor Diocletian? Yes, we can arrange that as well.